Oʻahu, known as "The Gathering Place", is the third largest of the Hawaiian Islands and most populous of the islands in the U.S. state of Hawaii. The state capital Honolulu is located on the southeast coast. The island is home to about 953,207 people (approximately 75% of the resident population of the state, with approximately 75% of those living on the "city" side of the island). Residents of Oʻahu refer to themselves as "locals" (as done throughout Hawaiʻi), no matter their ancestry. 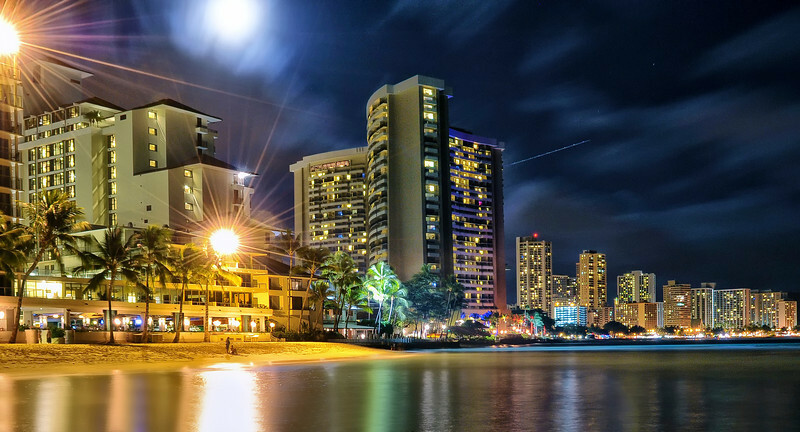 The city of Honolulu—largest city, state capital, and main deepwater marine port for the State of Hawaiʻi—is located here. Well-known features found on Oʻahu include Waikīkī, Pearl Harbor, Diamond Head, Hanauma, Kāneʻohe Bay, Kailua Bay, North Shore.